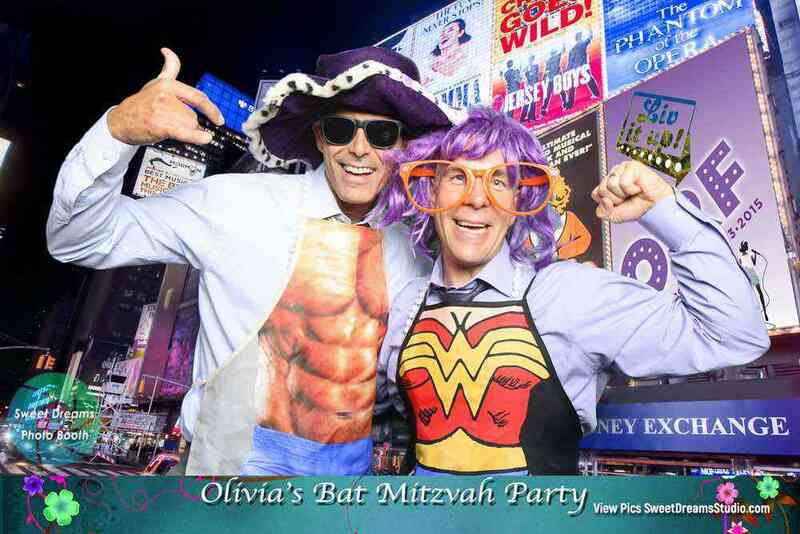 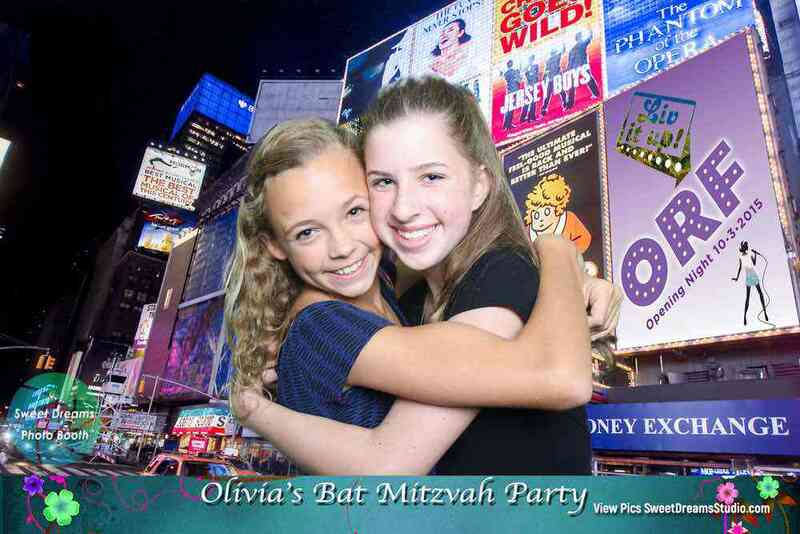 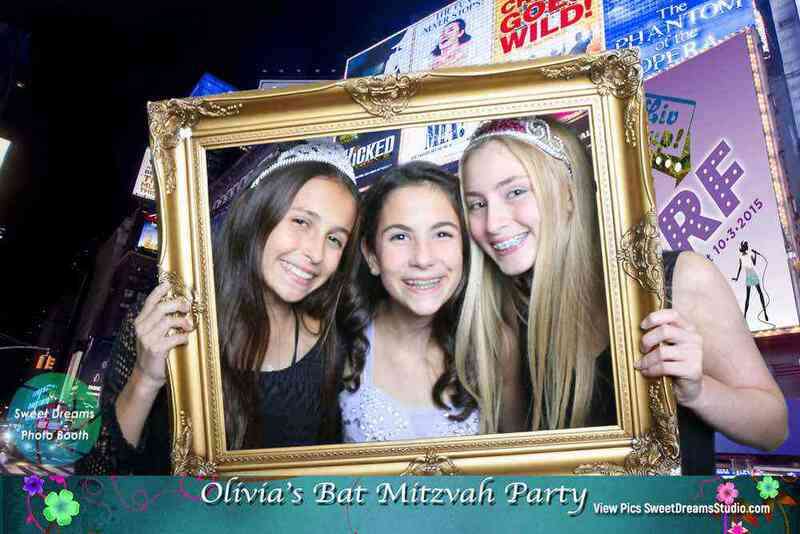 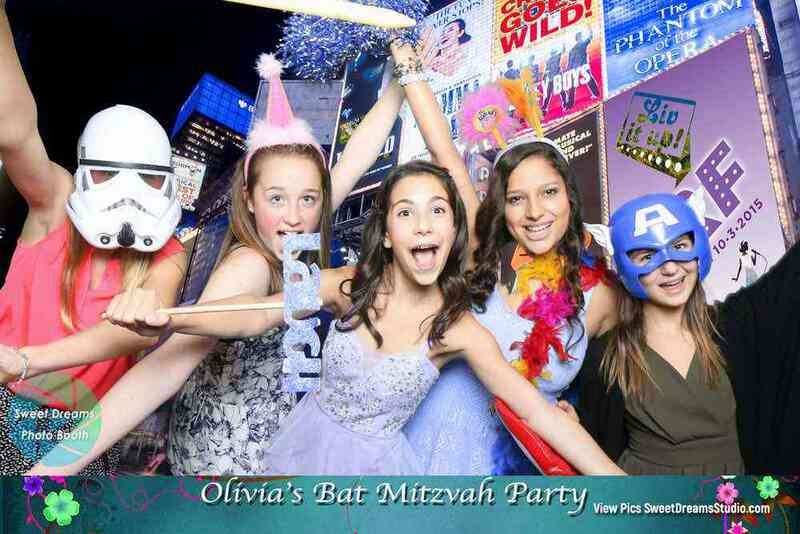 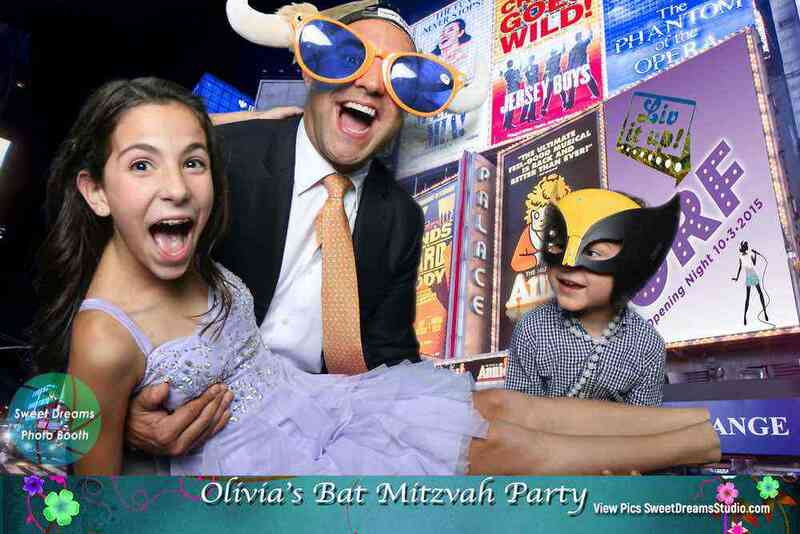 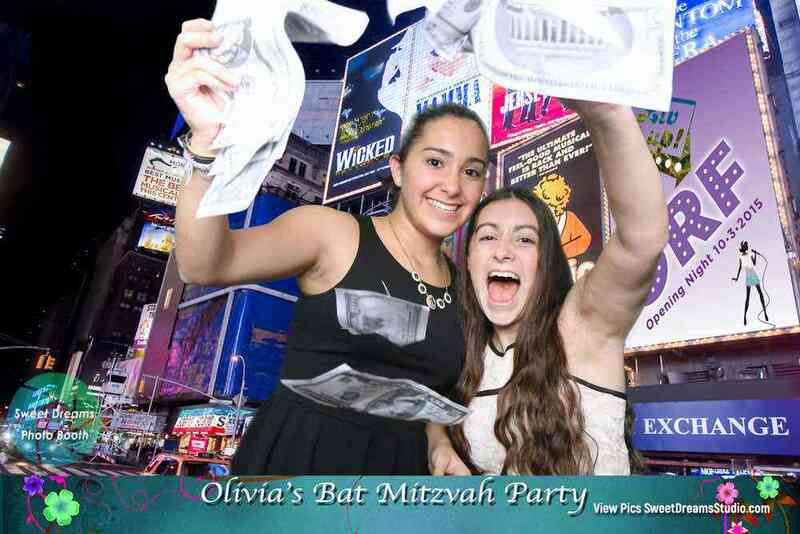 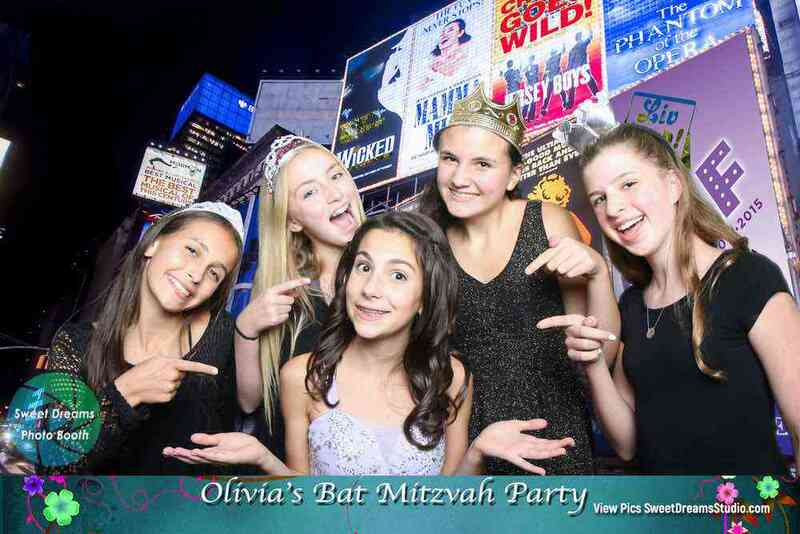 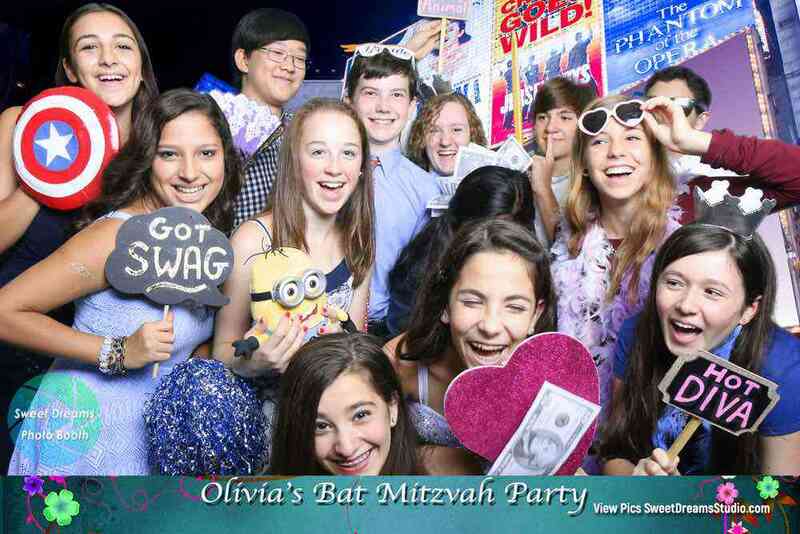 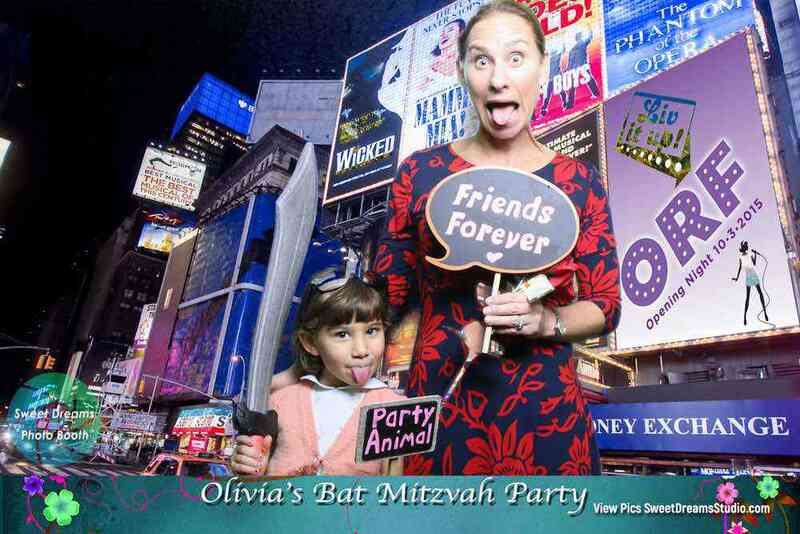 Photo Booth rental entertainment for Liv's Bat Mitzvah party at Mahwah NJ River Palm Terrace. 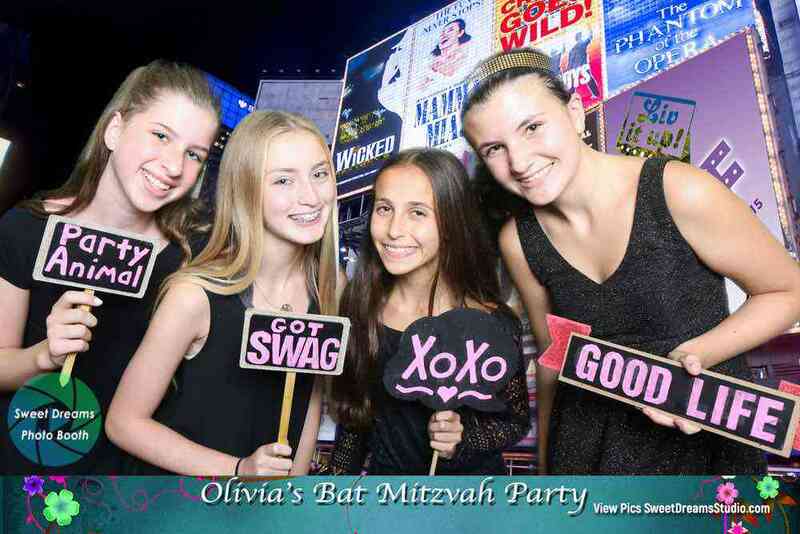 Olivia and her friends and family had a lot of fun dressing up and getting their pictures taken in our open air photo booth. 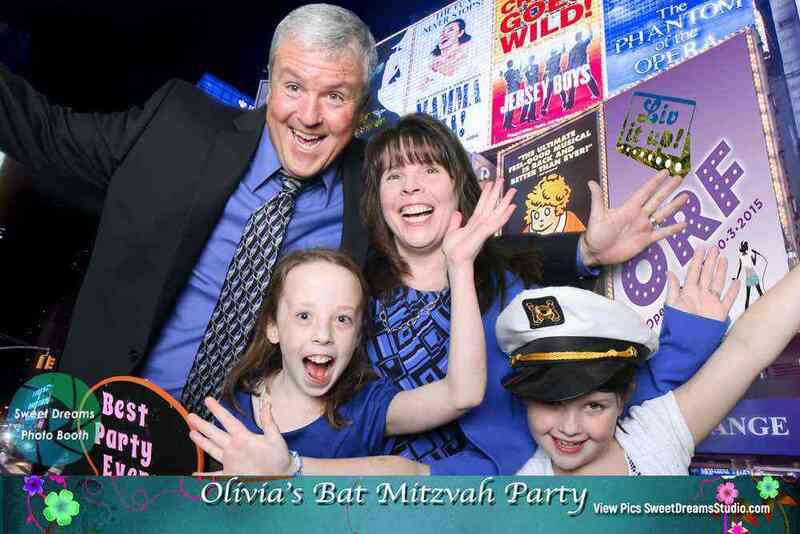 Everyone also got beautiful prints to take home for the fun memories. 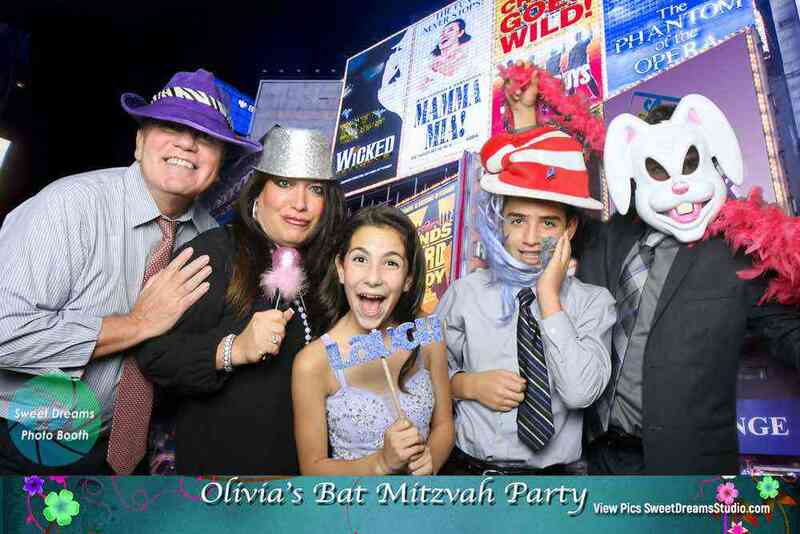 Sweet Dreams Studio for award-winning NJ NYC wedding and party photography, videography and best photo booth entertainment. 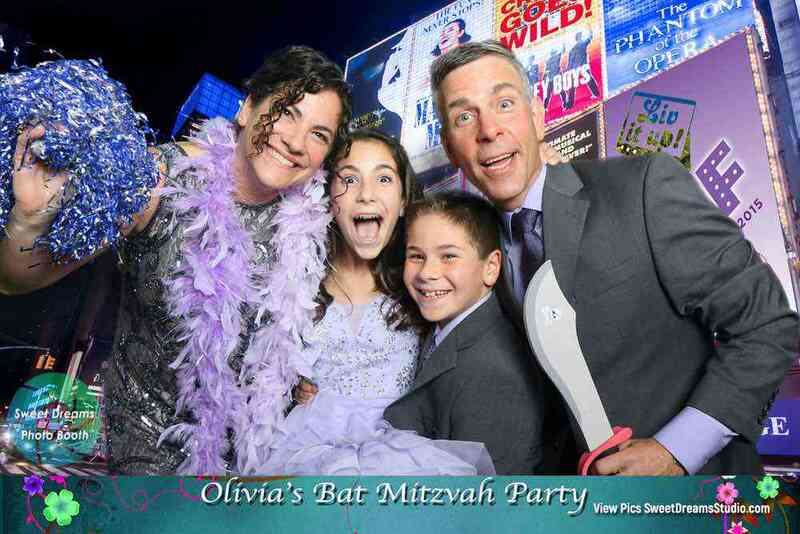 Winner of Knot Magazine’s New Jersey Best of Wedding Photography and Photo Booth Rental.